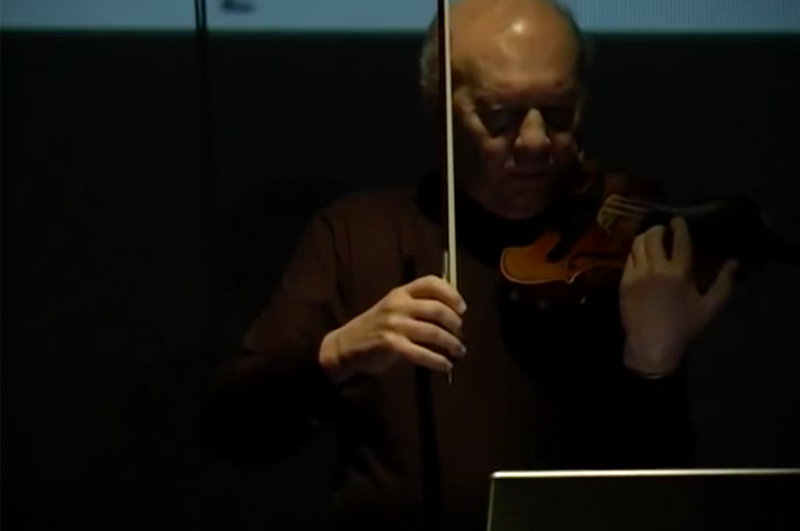 Ivresse ’84 is a piece written by Georg Hajdu for the European Bridges Ensemble and Janós Negyesy about Negyesy’s premiere of the “Freeman Etudes” by John Cage in 1984 in Ivrea, Italy. Ivresse ’84 was premiered in Budapest in 2007. This video was filmed during the rehearsals of the premiere at the Mucsarnok (Kunsthalle) Budapest in September 2007. The European Bridges Ensemble (EBE) was established for Internet and network performance. 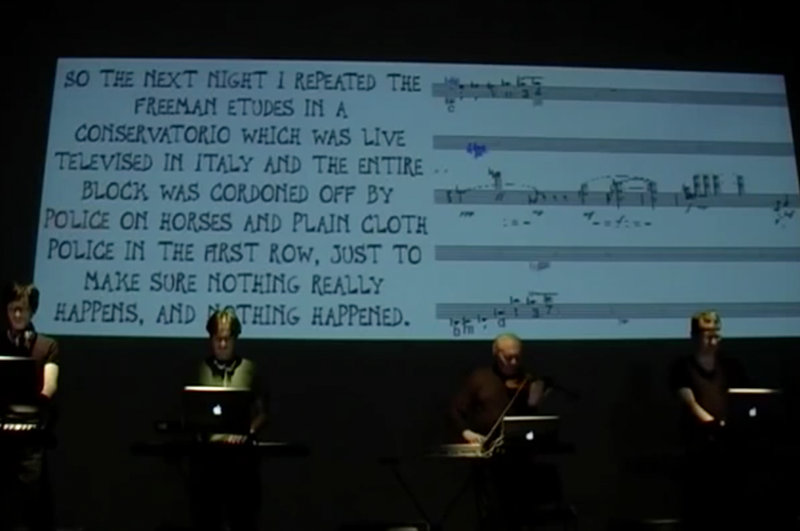 Its current members are the five performers Kai Niggemann (Münster), Ádám Siska (Budapest), Johannes Kretz (Vienna), Andrea Szigetvári (Budapest), Ivana Ognjanovic (Hamburg/Belgrade), the conductor Georg Hajdu (Hamburg), and video artist Stewart Collinson (Lincoln, England). Using the term bridges as a metaphor, the ensemble makes an attempt to bridge cultures, regions, locations and individuals, each with their specific history. Particularly Europe with its historical and ethnic diversity has repeatedly gone through massive changes separating and reuniting people often living in close vicinity. The aim is to further explore the potential of taking participating musicians and artists out of their political and social isolation by creating virtual communities of like-minded artists united by their creativity and mutual interests.